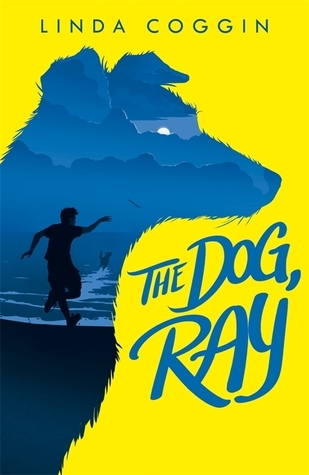 Here's a novel with a lot of heart, and that guarantee for a good story - a dog in trouble. Daisy (age 12) is killed in a car crash (car meets horse, not your usual accident) and her father is paralysed. Daisy finds herself in that space in between - a waiting room for souls to find their new destiny; Daisy is to become a dog. Because she doesn't follow instructions correctly she is a dog who can remember her life as a girl. She is taken home from the pound by a rather ghastly boy and his mum who make her sleep in a kennel outside and don't treat her particularly kindly, and when she has the chance she dashes away, determined to find her way home and become an assistance dog for her father, but that's not to be, they have moved away. Daisy meets a homeless man, and a boy called Pip, who has run away from his foster home; his mother has died and he wants to track down his father, who doesn't even know he exists. It is Pip who gives the name Ray to the dog, and they make a fine pair. I won't share more of their adventure as it will spoil your reading of it, but there is excitement, emotional upheaval, adventure, and some new friends along the way. Ray tries to communicate with everyone as she would have when she was a girl, but it's only heard as barking, and as she lives in her dog-self, her girl-self slowly starts to fade, whilst maintaining her loving, courageous character. A charmer, but then I'm always a sucker for a dog story. 9-14, though obviously adults might enjoy it as I did!